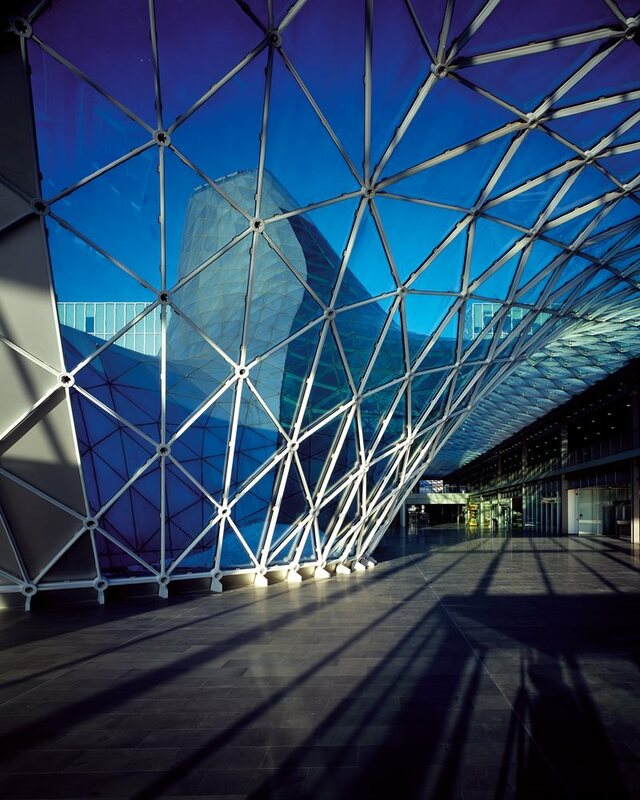 Tecno took good care of the interior spaces at the Milan Exhibition Centre, the new trade fair centre designed by Massimiliano Fuksas, who chose Tecno as his partner to provide the furnishings for the offices, meeting rooms, waiting rooms and passageways. A substantial and differentiated intervention which created a clear continuity from the operational areas to the executive offices. Tecno's WB and WG walls from the Partition range were selected for the President's Office and the Secretary's Office, as well as the archive area on the top floor of one of the four buildings which house the offices. The operational and middle management offices were furnished with desks, drawer units, storage and accessories from the Extra-Dry range designed by Mario Bellini for Tecno. The executive offices and the meeting rooms featured the Nomos table by Foster + Partners, complemented with items from Gae Aulenti's Kum line. For the waiting areas, RS benches by Jean-Marie Duthilleul, with orange back-painted glass top tables, a colour also used in the fabric on the PS148 chairs in the waiting rooms adjacent to the reception areas. 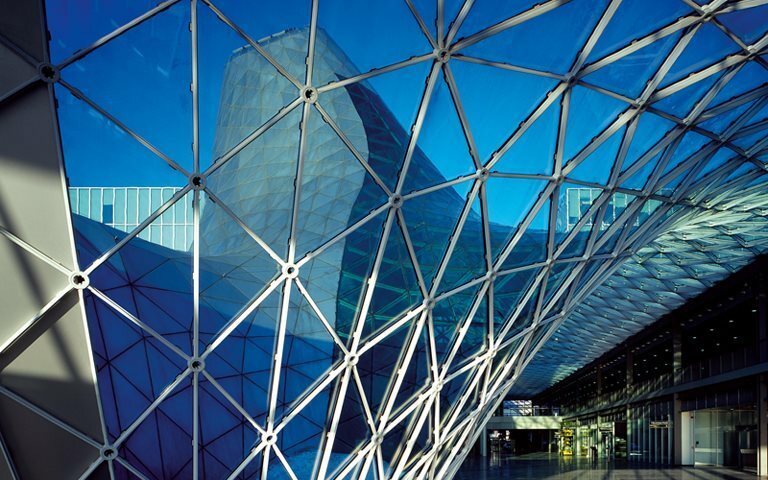 Tecno for the Milan Exhibition Centre is an example of how an open and ongoing dialogue between a company and its client can provide the basis for smooth project development and the optimum application of the tailor made concept.